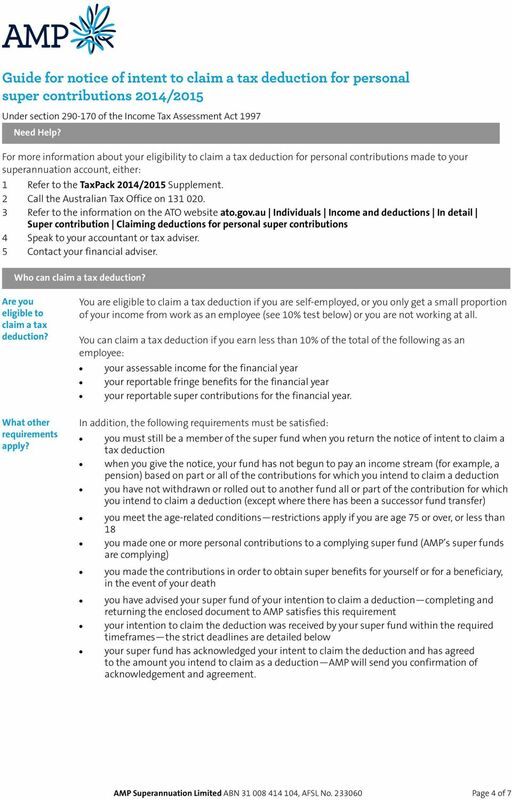 Download "Guide for notice of intent to claim a tax deduction for personal super contributions 2014/2015"
Freelancers, the self-employed & super. SALARY PACKAGING SUPERANNUATION GUIDE TO EMPLOYEES Superannuation Introducing Salary Packaging Salary packaging has been made available to all staff of the University through the Enterprise Agreement process. 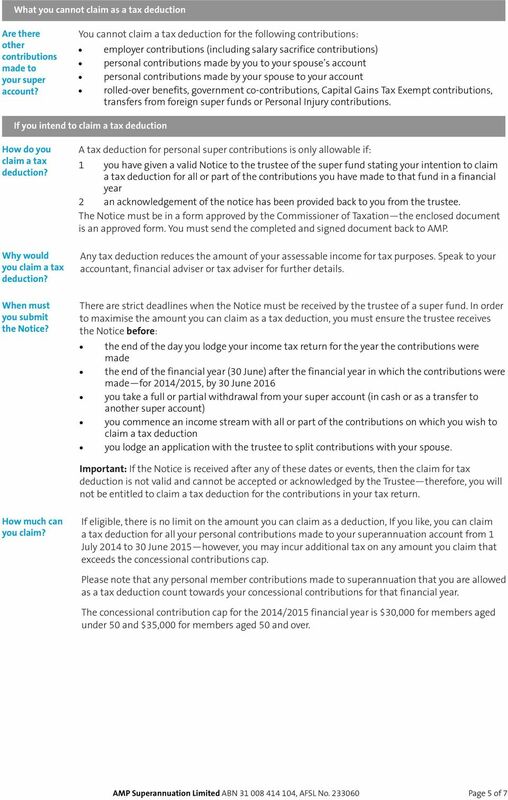 Superannuation contributions : who can contribute and when? 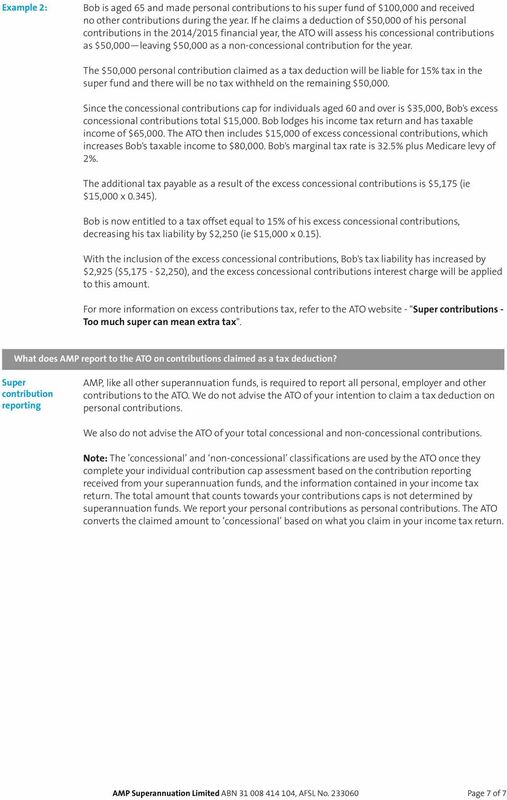 2014/15 Key Superannuation Rates and Thresholds These are the key rates and thresholds that apply in relation to superannuation contributions and benefits, superannuation guarantee and co-contributions. There are opportunities for those with broken work patterns to make catch up concessional contributions. Notice of intent. 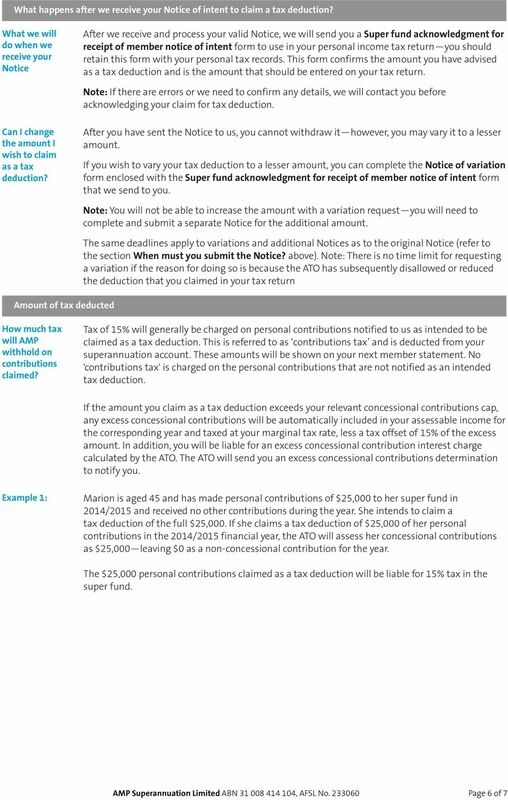 Fact sheet and form. What this fact sheet covers. Who is this fact sheet for? When should I complete a notice of intent? Version 4.0 Preparation Date: 2 November 2009 This document provides some additional information to help you understand the financial planning concepts discussed in the SOA in relation to retirement planning.